Making a wooden swage block or dishing stump for dishing steel + dishing a test piece to see how it works and updates and tweaks that I made after a few weeks of use. 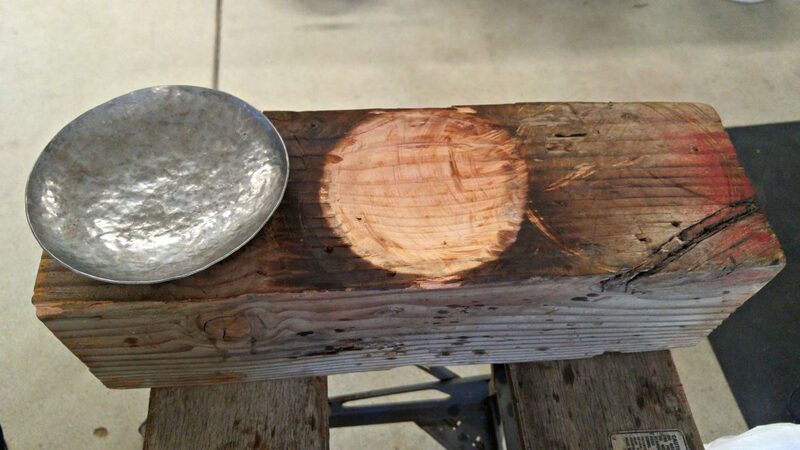 This is the first step in my journey of learning how to make spoons, ladles, and bowls out of steel plate. This is all super new to me, but I am learning quickly! Hope you enjoy! Wow! I loved this video. How interesting. I love that you think of something you want to do and just go find out how to do it, and then share it. I would love to try making a bowl like this, but until now, thought I would have to heat it, which I’m not really interested in doing. Nice work, great video and awesome channel. I LOVED the scripture verses as well and thinking that I can rest in God, because He is my defender. Keep up the great work! I really appreciate the kind words. Will do :). Subscribe To My YT Channel!